Are either of these worth the extra $20-$30?. It seems most of the content is for Online and I’m not sure how much online I’ll be playing tbh but overall are either of them worth it? the ultimate is for me. because i really like the steelbook case. its a great collectors item. the content is nice too. Online is pretty crappy and Ultimate edition bonus content is only for Online so nothing interesting besides steelbook. Special Edition if you want better physical map, easier start, extra outfit, extra gang hideout, and extra bank robbery. Personally, I don't think it's worth paying extra cash. I don't like the bonus outfit and game isn't really hard for free goodies that Special Edition offers. You aren't missing stuff out like in some Ubisoft game. If you have the money to spare, why not? It's bonus content to play. However it's not really worth the money imo, the gang hideout is nothing special and the bank robbery mission you only get away with roughly $50 after your bounty is paid off. The outfit, horses and cash boost (which you can turn off in settings) are cool though. 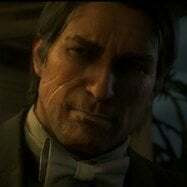 The best thing was the time limited treasure map which lead you to 6 gold bars that you could get right from the beggining. I'm probably in the minority, but I am so envious of people who have the Dappled Black Thoroughbred. Kinda wishing I bought the Ultimate Edition. I thought I paid for the Ultimate edition, but I don't know what a steelbook is. Is that online only? Is the gang hideout and online thing or single player? I don't know what it is. I have my thoroughbred, maybe I bought the special edition instead? Or just haven't properly registered it ?? No it's the special bro I swear I wish I could post some pictures. It will give you a bunch of links. Copy and paste the one that says BB code. Thanks man! Ok so yeah officially the steelbook is from the ultimate edition but the truth is my special edition came with all of this... maybe it was an error from my retail store.